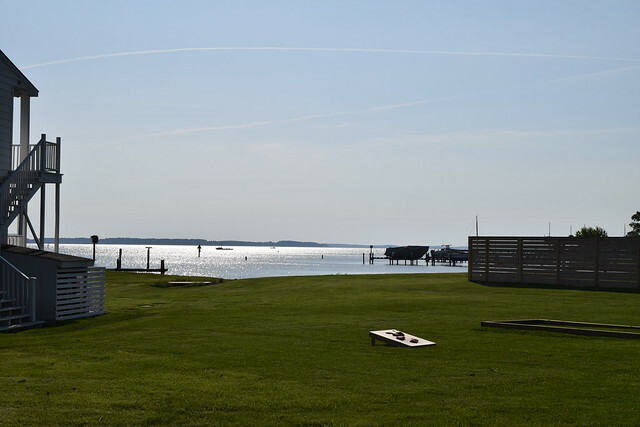 “It’s like living in the countryside, but on the water,” a friendly local boasted while describing their love of Tilghman Island, an idyllic slice of Maryland’s Eastern Shore. 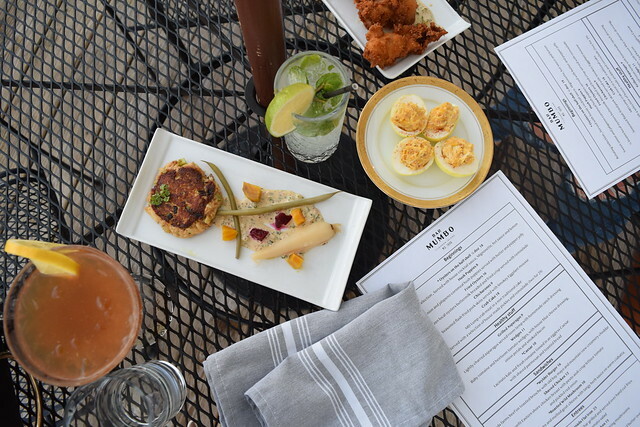 He innocently struck up a conversation with us when he spotted the over sized camera–as most people do–I whipped out to capture our photogenic dinner on the serene patio at the Wylder Hotel. After learning I was reviewing the property, he and his table of local friends gushed about the must-do local experiences. I invited my dear friend Kendra to join me on an overnight adventure to Tilghman Island as a relaxing start to our Memorial Day weekend. She was selected as this weekend’s travel buddy because she excels at navigation, time management, and relaxing (plus, I love her). Because the island is so remote, really the best way to get there from DC is by car. We were blessed by the travel gods and somehow skirted virtually all holiday weekend traffic on the 2.5 hour jaunt from D.C. In between belting out Florence and The Machine lyrics and navigating directions, I learned my girl had never been to St. Michael’s, the charming town known for Wedding Crashers scene at the Inn at Perry Cabin. 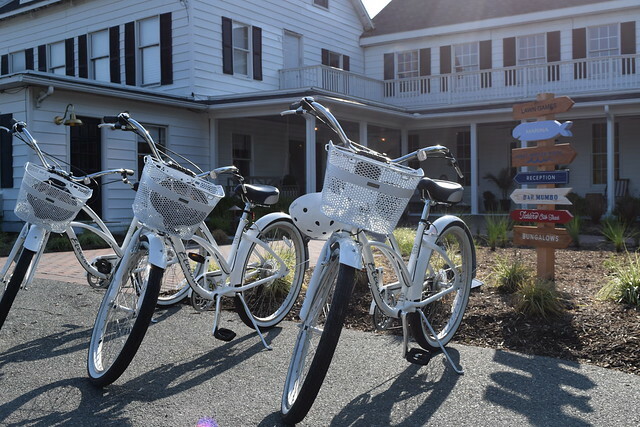 As it was literally on the road to the Wylder Hotel Tilghman Island, I insisted we stop for a drink to walk the grounds and soak in the unobstructed, blissful bay views. 15 minutes down the road and over the bridge, we arrived just in time for dinner (and a sunset that left us speechless) at Bar Mumbo, one of the two onsite restaurants at the Wylder Hotel. 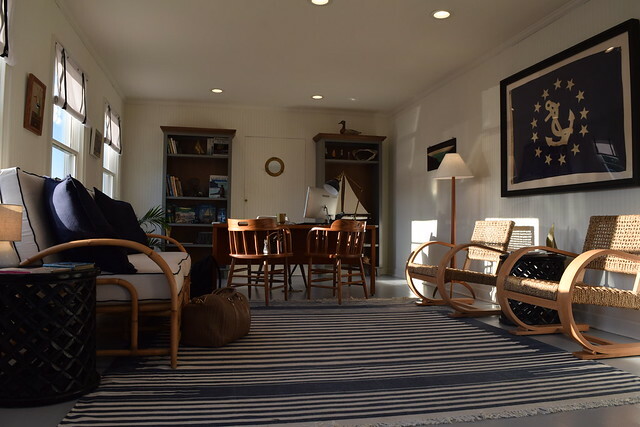 The property was recently revitalized to a nautical, no frills, whimsical retreat. On the menu, you’ll find freshly sourced food from the onsite vegetable garden and local catches of the day creatively plated by Chef Sean Wheaton who spent three years at James Beard nominated Equinox, and 9 years as Executive Chef of catering and special events at José Andrés’ ThinkFoodGroup. Land sports like bocce and biking and water sports like paddle boarding, kayaking, and chartering your own boat, are all available onsite. However, the Jack Johnson soundtrack lured us to the minimalist pool, outfitted with a jug of lemon water, SunBum sunscreen and turkish towels for all guests to enjoy. We had every intention of paddle boarding, but after three vodka lemonades, we couldn’t seem to peel ourselves away. Perhaps the best part of our trip, notwithstanding the awesome poolside service and delicious food, was getting to know fellow guests. We retired to the firepit for a jovial post-dinner chat with locals and sat poolside next to fellow small business owners from DC. The one commonality? Everyone from the staff to the guests have a genuine smile plastered on their face. It’s hard not to. 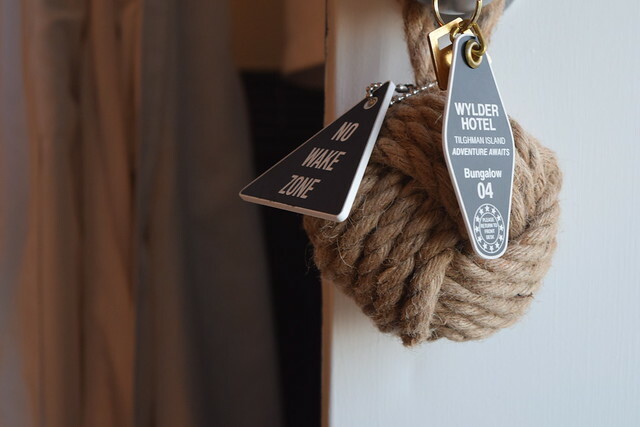 If you’re looking to escape the city for an overnight stay or a weekend getaway with your spouse or kids where the Wi-Fi is strong but the cell service is weak, look no further than the Wylder Hotel Tilghman Island. One of the main reasons I like to travel is to be re-energized. To be inspired to think about the same things in a different way. When the crab deviled eggs arrived, they satiated this craving. A simple, classic Southern dish with a Maryland spin. 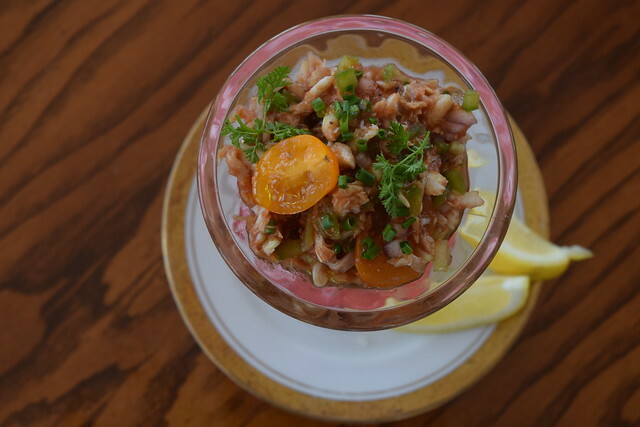 I believe this is an off-menu item, but you should inquire, as they were a complete home run that I will be attempting to recreate this summer in my kitchen at home. An order of the local fried oysters, which our waiter informed us were harvested merely hours beforehand right down the road, were a fun, fresh, crispy, and juicy start to our adventure. They were huge however, so we left a few behind. The egg-less Caesar salad is not winning any awards for most attractive salad to ever be placed in front of me, but it was definitely one of the most interesting. Comprised of a base of lacinato kale, a lighter, smaller varietal, and a hint of lemon, unlike the fried oysters, we definitely didn’t leave a morsel behind. 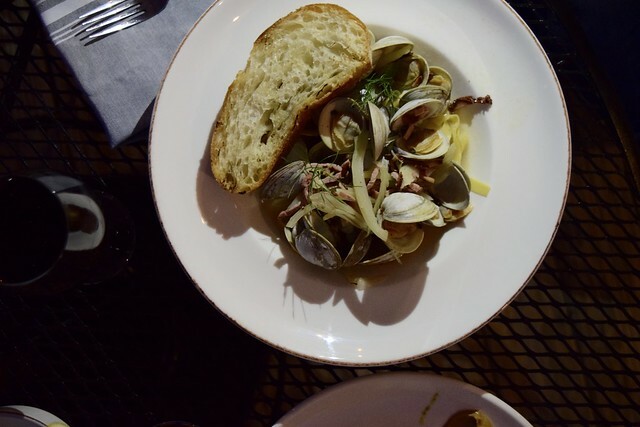 We tried to stick to anything on the menu that read “local” or “house made” so that left us with an entree order of the local rockfish and the house made pasta with clams and ham. The pasta was so light, it made for a perfect warm weather take on the otherwise heavy dish. Likewise, the fish was cooked perfectly. I doused each flakey morsel into the caramelized zucchini puree, in between sips of the most delicious craft cocktail named Peggy’s Tea–think an Arnold Palmer but with Bourbon. The next morning we woke up to the most perfect day; the bay was like glass and the sun was beaming. We hopped on two complimentary bikes and peddled to get coffee at Two if By Sea, a tiny diner in the one horse town, before biking down the main road, passing a total of 10 cars during an hour long ride to the tip of the island called Black Walnut Point. We made it back in time for brunch at Tickler’s Crab Shack the more nautical restaurant of the two. We sat outside under the large covered dock, complete with two outdoor bars. Although we didn’t have time to do so this time around, we highly recommend chartering a fishing or crabbing boat right off the property. The hotel will steam or grill anything you catch, right on the property. The only thing you have to do is sit back with a cold beer and dig in. Doesn’t get much better than that! 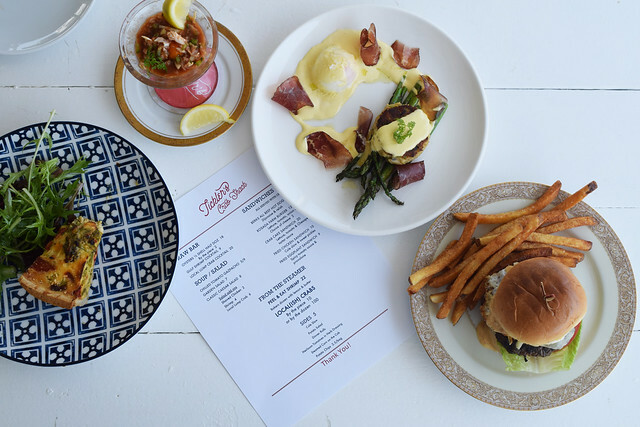 The Maryland-centric brunch menu was apropos, complete with a crab cake oscar dish, a crab cocktail–my personal favorite–which comprised crab meat and house made Bloody Mary mix, and a hangover burger with Old Bay aioli and beef sourced from grass fed cows right here in Maryland. 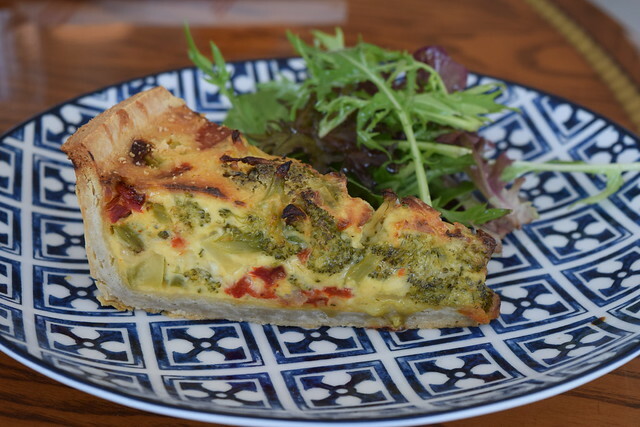 We loved the fact that the side salads were sourced straight from the garden in the front of the property. Either on your way in or out of town on Friday nights you must make a point to stop by the country store, a stones throw from the Wylder, for a wine tasting and a pint of secret ice cream. We were let in on the local secret while talking to locals the night before. After a quick google search we learned that the secret ice cream they speak of, located in the screened in porch at the country store, is ranked as one of the top five best ice creams in the country by TripAdvisor. Head out of town early Friday morning (even better, Thursday night?) towards Wylder Hotel Tilghman Island, swing by St. Michael’s for some shopping and a coffee or juice at Agave Arts & Juicing. Make a pit stop at to the Inn at Perry cabin for a drink on the water or a spa treatment. Hit the road and head 15 min South over the bridge to the hidden, untouched gem that is Tilghman Island. Make sure you get there in time for dinner at Bar Mumbo, and chose to sit outside to take in the stunning sunset over the quiet cove. Bring your bug repellent, because after all, we’re only 2.5 hours from the D.C. swamp. 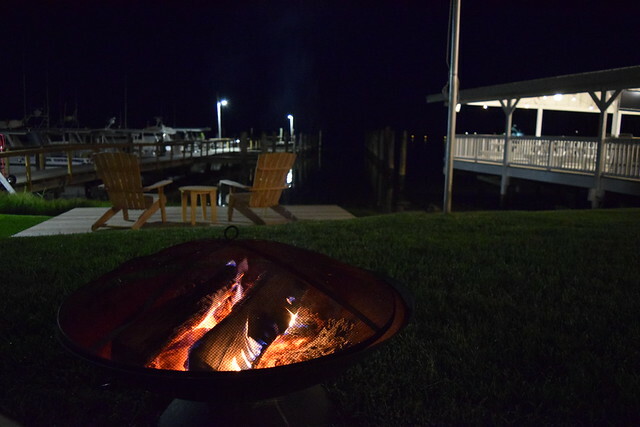 Have a glass of wine by the fire pit or walk around the corner to the country store to purchase a bottle of wine. If you find yourself at the store, you must promise not to leave without trying the “secret ice cream” located inconspicuously in the screened in porch, a local secret. 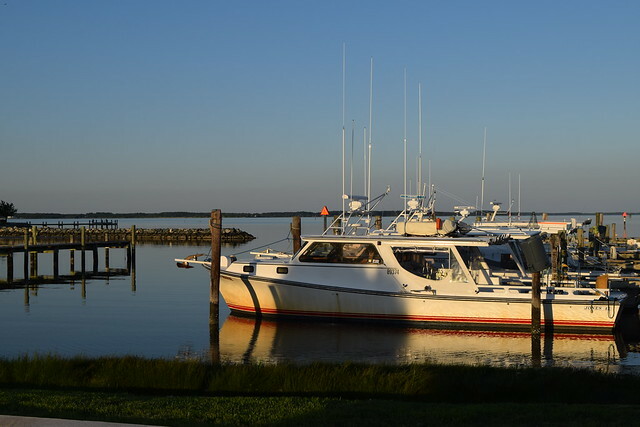 Coordinate a boat charter with the Wylder hotel for fishing or crabbing. Enjoy the fruits of your labor with a cold beer and dessert. 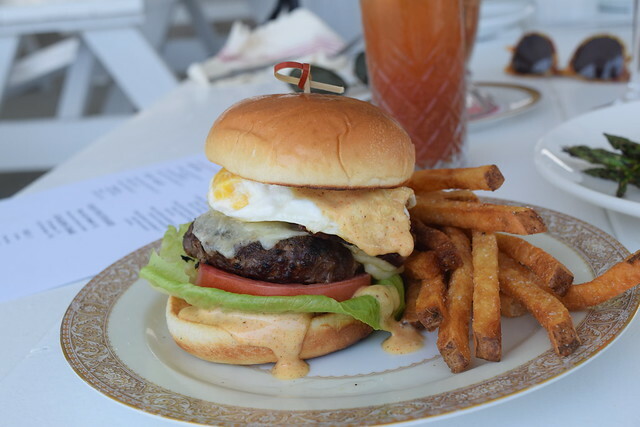 Grab a bike and explore the island before brunch at Tickler’s–don’t forget to order the burger and the crab cocktail. 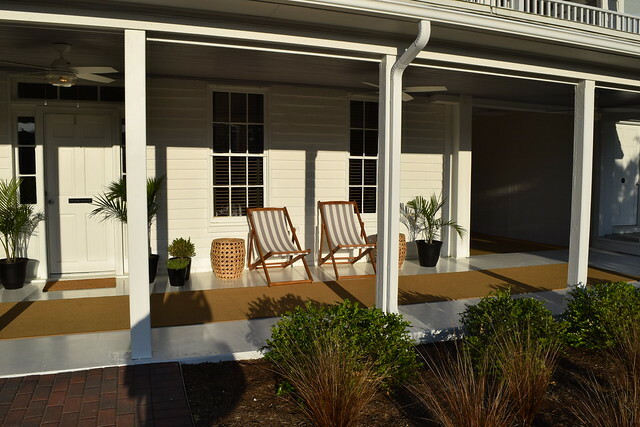 The best part about Tilghman Island are the people, so strike up a conversation with the locals! Because if you don’t, you may be missing out on some of the best ice cream in the country.